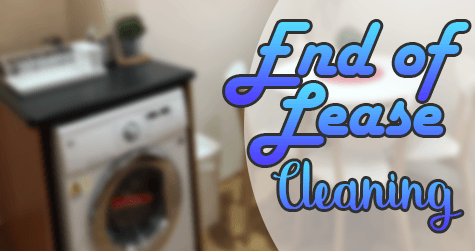 End of lease cleaning is cleaning your leased property one last time before you proceed with your move. This is not an easy task. It is way more than your regular apartment or home cleaning. And you can never expect yourself getting this done in less than one whole day. Especially if you will be doing it on your own. Nevertheless, it is your responsibility as the lessee. You need to carry out this task if you want your bond back. Fret not. Maid in Perth offers professional cleaners that can expertly execute end of lease cleaning for you. After your lease, one thing is for sure. You will be moving someplace else. Which means a package of heavy legwork from packing till settling down to the new place. Whichever be your reason for moving, you’d certainly want to get it over with at the quickest possible time with no delays. Therefore, you can’t afford to lose a day during the move just to clean everything in the old place. So free yourself from your worries and trust the professionals. Trust us in maid in Perth. We are experts in what we do. You can rest assured that your leased property will be thoroughly cleaned. You may even need oven, fridge and deep cleaning services to make the most out of cleaning. But don’t worry! With us, the property will be ready for its new tenants by the time we complete your end of lease cleaning. So, rest assured after acquiring our services, you can definitely get your bond back. Our maids are polite and hardworking. They work keeping in heart our values as a cleaning services firm. In the event that you will not get satisfied with our work, we can try to make it up to you by going back and cleaning your home once again. We’ll do better to achieve customer satisfaction. This will not be an additional cost to you. After cleaning your home again and your still not happy with the service we will offer a full refund. 100 percent money back guarantee.